Often couples have to overcome many hurdles before they can have a successful pregnancy. These include the considerable journey the sperm must make to reach the egg, the penetration of the egg by one successful sperm, the division of cells to create an embryo, the journey of the embryo to the uterus and, possibly the most difficult step of all, the attachment of the embryo to the uterine lining (implantation). Any abnormalities in the process of implantation are believed to be the basis of many cases of unexplained infertility in women. The question that researchers are trying to answer is: Can we help women for whom implantation has not been successful? In many assisted reproductive technology (ART) programs, fewer than 10% of embryos successfully implant. Predictors of implantation success are needed, both to better understand the causes of infertility in women and to improve the efficacy and reliability of ART. Despite almost two decades of assisted reproductive technologies, the precise mediators of human implantation remain unknown. As a corollary to this problem, up to now no markers have existed to predict adequately whether implantation will occur during any given assisted cycle. 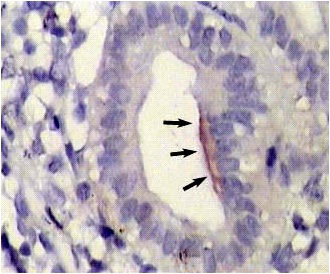 Human endometrium undergoes a remarkable series of developmental changes during the menstrual cycle in preparation for embryonic implantation. 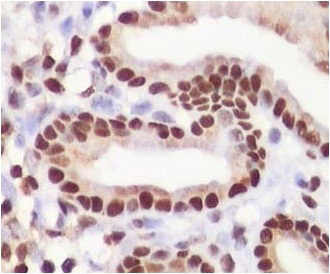 The complex structure of the endometrium requires an array of distinct molecules which contribute to the cell distribution, adhesion, trafficking and signaling with matrix proteins of the endometrial meshwork. It has been documented, that these cellular activities are known to be mediated by a family of cell adhesion molecules termed as integrins (ITGs). ITGs are cell surface glycoprotein receptors which consist of different -subunits and a common -sub-unit. So far 15  and eight  subunits have been identified on various cells. The involvement of ITGs in reproduction has been suggested recently. Several reasons make these molecules very attractive due to their constant involvement from egg to birth. 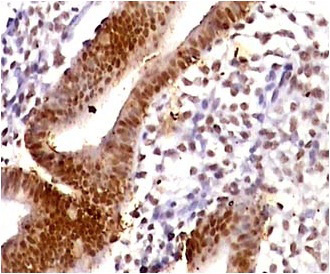 The role of different ITG subunits in the assessment of endometrial maturation and receptivity has been reported. 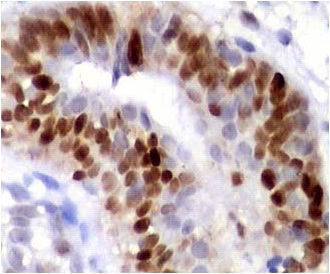 Lack or poor expression of some of the ITG subunits in endometrial cells leads to failure of embryo-endometrial interactions and implantation.